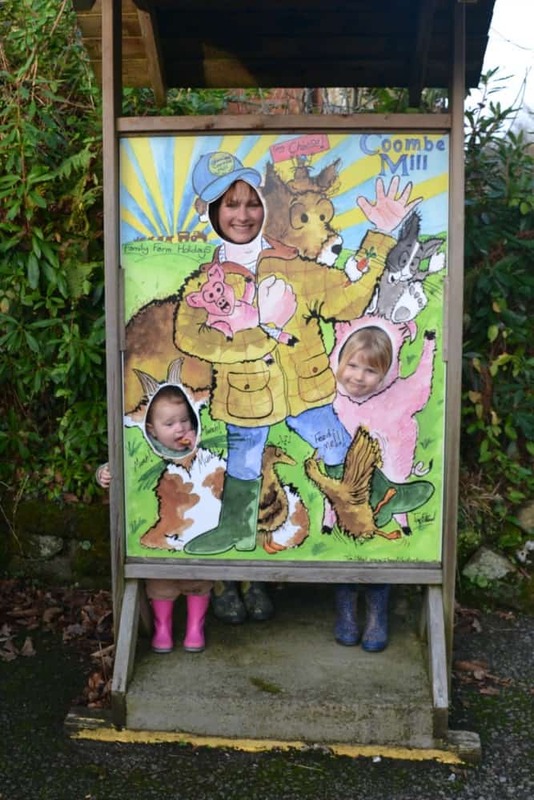 When I started writing Tin Box Traveller, one of the first blog linkys I came across was #CountryKids run by Fiona at Coombe Mill in Cornwall. A linky is a place where bloggers share their posts with people who have similar interests. I run the Monday Escapes linky with fellow travel bloggers Extraordinary Chaos, Mini Travellers and Travel Loving Family. But back to #CountryKids… As the name suggests it’s all about outdoor family adventures. It was and still is somewhere I get a lot of inspiration for our day trips in the UK. It also introduced me to the wonderful holidays at Coombe Mill, which has a collection of lodges and holiday cottages nestled in a valley on the edge of Bodmin Moor. As well as providing guests with a beautiful location and family-friendly accommodation, there’s farm animal feeding, activities and model train rides almost every day. Fiona who runs Coombe Mill somehow also manages to write an award-winning blog and manage the popular linky. She’s been asking us to visit for quite some time and, after meeting her in person at a blogging conference last June, I promised we would. The opportunity came at Christmas. Christmas Eve in fact. We joined Fiona and her guests for an afternoon of festive crafts, a Christmas treasure hunt around the estate and a train ride to meet Santa ahead of his very busy night. The girls also enjoyed letting off a bit of steam on Coombe Mill’s play area, which I’m sure had something to do with a relatively easy bedtime later on. It was wonderful to finally see a place and experience some of the activities I’ve read about so many times before. Thank you to Fiona and the Coombe Mill team for inviting us to share in a small part of their Christmas celebrations. Have you holidayed at Coombe Mill? I’d love to hear about your highlights. It was a lovely afternoon. We’d love to go for a stay too. It’s just getting the timings to work. It would be lovely to go out of the peak season as we don’t have far to travel but from September we’re more restricted. Blinking school holidays! I follow Coombe Mill on Instagram/twitter etc. They post some lovely pictures from there and I would love to go. My children are older so I am not sure if it would be there kind of thing, but I would love a day there. Your pictures are fab and it looks like you had a lovely time. I’m so pleased you managed to find time to pop in and see us and join in with some of our activities. The train is great for special occasions with Christmas and Halloween being perfect for transforming the tunnel into a themed grotto. We were so lucky with the weather on Christmas Eve too, may be you were my lucky weather charm. You may need to come every year! Ha! Sadly I don’t bring good weather with me everywhere. It was such an improvement on last year when we moved to the South West. Then it was blowing a gale. Thanks again for inviting us! Yes I totally agree that Fiona is brilliant! I don’t know how she manages it but probably is that she is kind, friendly and just really genuine! Definitely something to aspire to as a blogger!! Totally right about Fiona! Kindness goes a long way. We’d just got a new lens off eBay and that’s made such a big difference. I still take a lot of photos with my phone, especially when it’s just me and the girls. Juggling a camera with kids can be a bit of a nightmare. Fab to meet you too and to read about your stay. It is such a popular place for families with loads of crafty and outdoor activities. Definitely worth learning more about it!